The Baltimore Orioles rolled through the regular season and rode that momentum through the first round of the 2014 MLB playoffs. 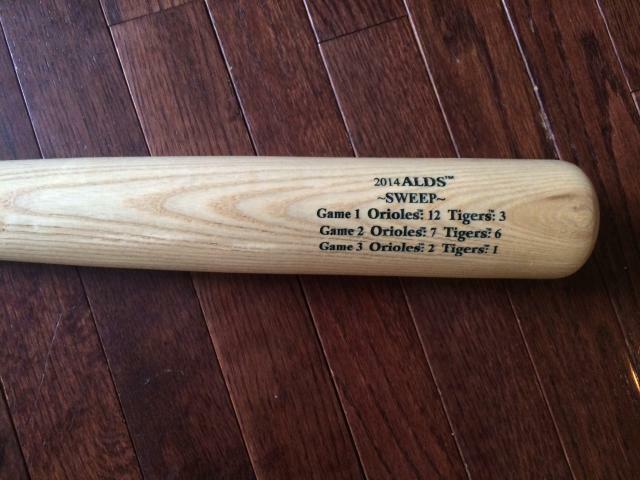 BIG TIME BATS commemorated the season with custom laser engraved bats by Louisville Slugger. 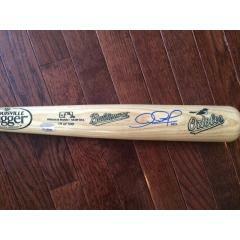 Now we have secured a limited edition of these bats personally signed by the Orioles own Adam Jones. 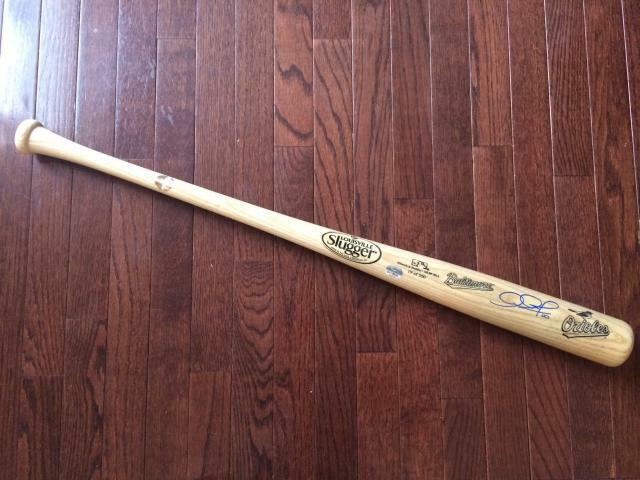 This beautiful, full-size Louisville Slugger bat is a tribute to the Orioles' sweep of the perennial playoff team Detroit Tigers, and makes a nice addition to any collection. Each bat is laser engraved with the dates and scores of each of the ALDS wins and includes the authenticated autograph of Jones. Each bat will come with individual authentication (Fanatics) and will be individually numbered. Adam Jones has been the face of the Orioles franchise since joining the team in 2008. The perennial MVP candidate is a four-time All-Star, three-time Gold Glove Award winner, and Silver Slugger Award winner. Jones also led the Orioles in hits and runs this season. 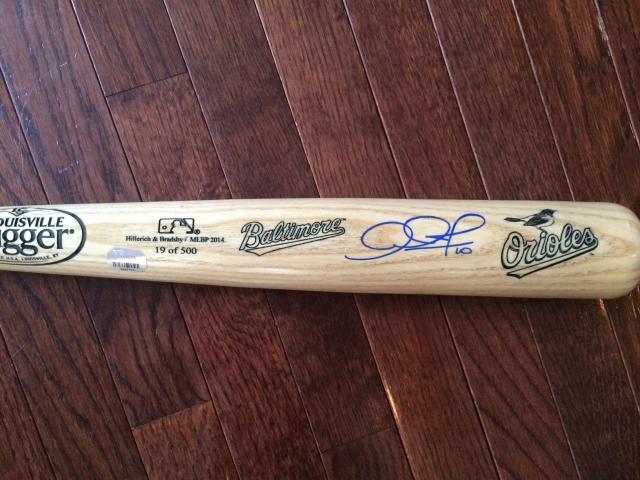 Get this bat for your own collection or give one as a gift to the fanatical Orioles fan on your shopping list.